At Podere Palazzo we will treat you to tailored services to make your stay as enjoyable and memorable as we can. Let us know about your needs and desires and we will assist you in the planning of special events, dinners, cooking classes, wine tours and more. We will help you organize your wedding and coordinate and reserve your ceremony officiants, musicians, catererers, photographer, hair dresser and everything else to make your special day as unique as possible. 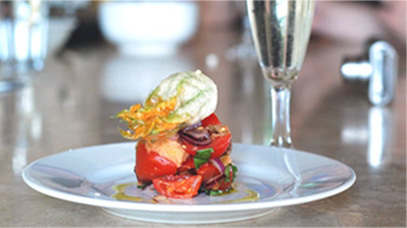 We work with talented chefs to bring you the best in home cooking, cooking classes and wine & cheese tastings. We organize professional photo shoots for your family or group of friends. We have wonderful drivers who can be at your service for just a day or for your entire stay. We can schedule a private massage therapist to come right to the home for the pleasure and relaxation of one or many guests. Here is a short list of services we can help you with! On the evening of your arrival, or any other night, one of our cooks will delight you with a home cooked scrumptious meal made exclusively with fresh, local ingredients and in the most authentic Italian style. The meals are fully served and customized for your group. Or, you can indulge in a wonderful breakfast delivered to the kitchen or garden, complete with fresh baked goods, juice, coffee, cereal, yoghurt and more. Prices upon request. Can be arranged upon your arrival so you have a full stocked refrigerator and pantry. We will provide you with a list that you can edit to suit your needs and add a small fee for handling it. We are lucky to have our friends and wonderful Michelin star chefs Iside and Romano from "la Parolina" organize cooking classes for our guests either at Podere Palazzo or in the kitchen of their restaurant. This is a wonderful experience if you want to explore the secrets of superb Italian food with a special chef’s flare. Dinner is served after class and wine pairings can be requested. Ask us about the available custom menus! At Podere Palazzo you will find a small cellar with selected wines and a price list for your use. Feel free to drink all you want and we can charge you for their use after your departure from the house. If you have any specific wine requests let us know and we will try to accommodate you. The wines are mostly a selection of local and unique producers in a good range of prices and varieties. If you want to know more about these and more delightful wines and their characteristics and indulge in the perfect local cheese pairings, we will organize a wine & cheese tasting and invite an expert chef in the comfort of the house! A great way to learn and savor the local territory so rich in both traditions. We can also arrange wine tours to visit some of the most wonderful vineyards nearby and further away, with and without a driver. Usually the tours are organized so you can visit 2 or 3 vineyards for tastings in each one, with a light lunch or picnic at one of the vineyards or good local restaurant. The Enoteca Experience is another great way to enjoy Italian wines. An enoteca is a wine repository that offers visitors an opportunity to sample many types of wines and buy them if they like them. Many people think of enoteche (plural of enoteca) as wine libraries when small quantities available and visitors can sample different wines from different producers at one location. Many of these establishments also offer food to complement the wines served. The well know "Enoteca Italiana", in Piazza Matteotti in Siena, is a wonderful establishment that offers 1,000 different wines and is worth a visit if you are wine aficionado. 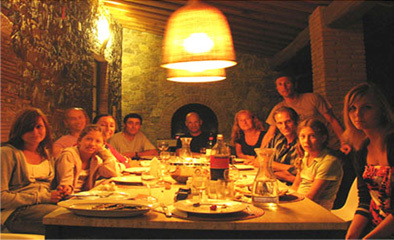 Podere Palazzo is a place to celebrate life in all its beauty and with the most dear people to you. Often our guests come to celebrate birthdays, special events, weddings and each time we love to help you organize them, taking away the stress of having to do it yourself with limited time and resources. We make the best of all of them as you can see from the reviews we receive! We have a great network of professional people, from caterers to musicians, from photographers to hair dressers, who can make any celebration a memorable one. If your wishes are simple we include that into the rental of the hosue and if you need major planning we will work with you on a small fee for our help. Ask us for details! Different size cars and Minivans are available and can be scheduled in advance if you need to be picked up or dropped off at a train station, airport, or if you would simply like a chaffeur to take you to the places you want to visit without driving yourself. We can organize private tours to any destination for a single day or for the entire week. 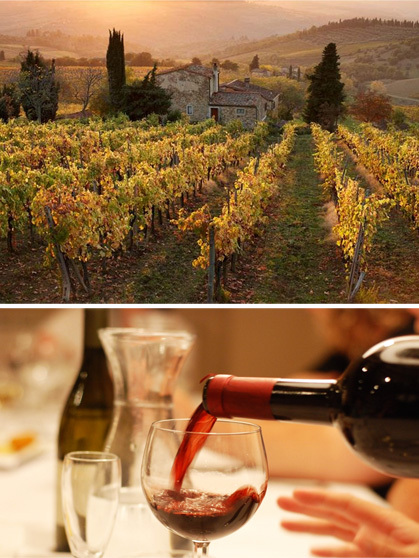 Our drivers will also allow you to explore out of the way castles, hamlets, wineries and vineyards and we can combine all this with wine tastings and special meals in the most beautiful areas of Umbria, Tuscany and Lazio. Let us know your needs and we will be happy to schedule this for you. 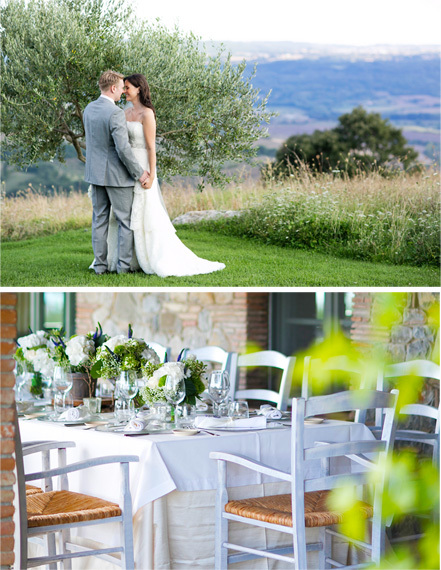 We work with top notch photographers who will provide our guests with wonderful personalized photo shoots that will make the memories of Podere Palazzo everlasting! They will come and spend time at the house with you for 2-3 hours to take a full album of professional pictures of your family and/or group of friends, or come for longer time and shoot your wedding or special event at the house. They will deliver them to you in any printed or digital format you desire. To see some of their beautiful work please check their website at www.minardiphoto.net or www.laurenmichelle.com.au. Let us know and we will schedule this for you. A professionally trained and very experienced massage therapist who has been working at Spas for many years will come to the house for your convenience and deliver a great selection of treatments and massages including Lympho-draining massages, Holistic massages, Chinese zu reflexology and much more. Prices vary. Ask us for availability, usually in the evenings or late afternoons. Alternatively the nearby Spa Fonteverde can provide a wonderful variety of massages as well.